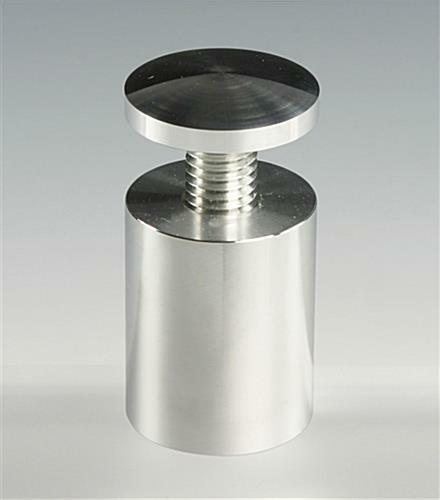 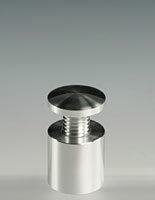 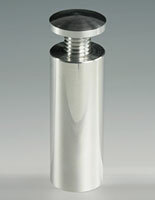 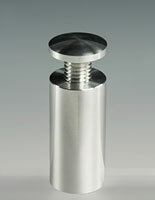 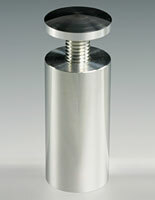 Standoffs Sign-Mounting Projects | 1.25" x 1.5"
These aluminum standoffs are great for mounting heavier materials. 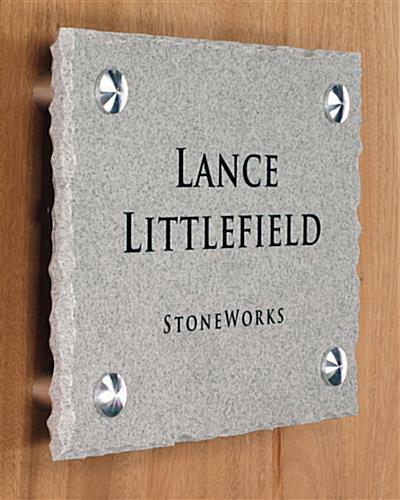 The sign shown in the picture at left is 0.75" Corian, though it may well be actual stone due to its heavy weight. 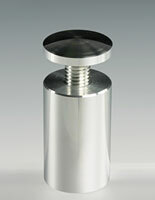 The aluminum standoffs not only support the weight of the material, but also accent the overall design. 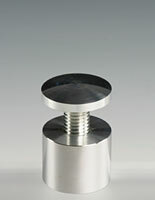 Sign mounts, sign supports, and other standoffs are well-suited to complementing signage displays. 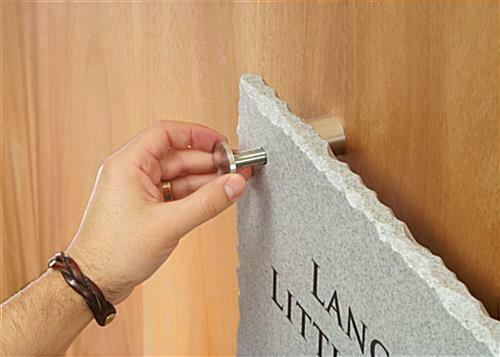 To install these sign mounts you will need 1/2" holes drilled through the sign panel. 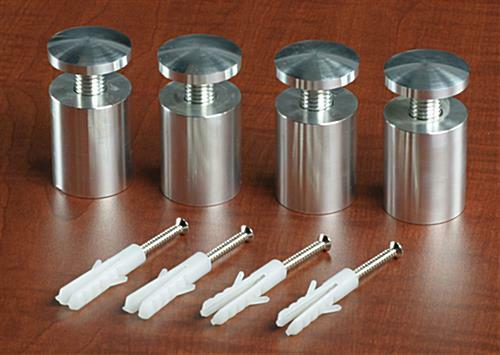 The standoff caps fit through these holes and screw down into the standoffs. 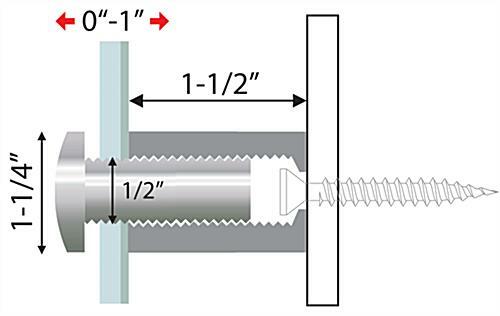 You can use material up to 0.75" thick. 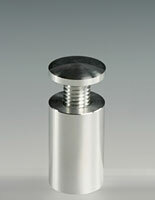 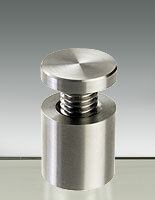 Standoffs are very popular for business advertising and corporate identities. 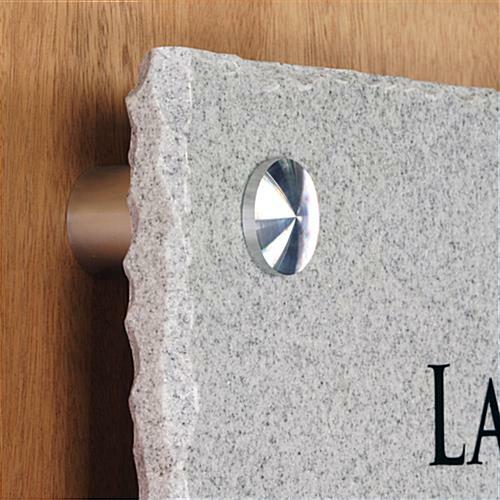 Elevate the quality of your signage to the next level with standoff accents!